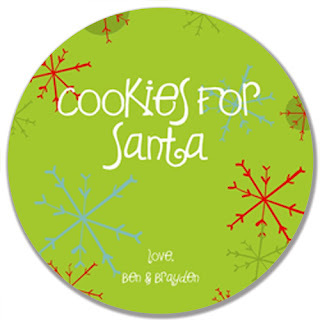 Custom Cookies for Santa Plates Now Availabe! I adore traditions! Every year we make cookies for Santa and leave them by the fireplace w/ milk and carrots for the reindeer. This year, the kiddos are thrilled to have their names on the plate to! Order early to ensure delivery by Christmas. Have a specific design or color scheme in mind? No problem, email lisa@munchkindesigns and we'll start working on it!